Meals For . . . Veronica Pineda scroll down to sign up... Admin Password: GO! Edit Notes • Print Notes Notes from Amanda Hollingsworth . . .
Veronica will be undergoing the first surgery in a process to begin treating her esophagus on October 31st. Veronica will be in the hospital for a few days and then brought home to heal. Although Veronica's procedure will not allow her to eat for several weeks, we would like to help by providing meals for her husband, Eddie, and their 2 children. There are no allergies or dislikes. You will be providing a meal for 3 people. 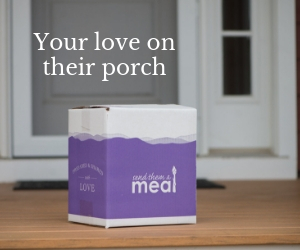 Please drop off your meal anytime after 5pm. Please text or call Amani (teen daughter) at 843-605-3243 to let her know what time you will be arriving. Address: 11 Wateree Court, Beaufort, SC 29902 (Picket Fences neighborhood across from church). **GATE CODE is #0606 and YOU MUST put in the # before the number. Thank you in advance for serving this family during their time of need!